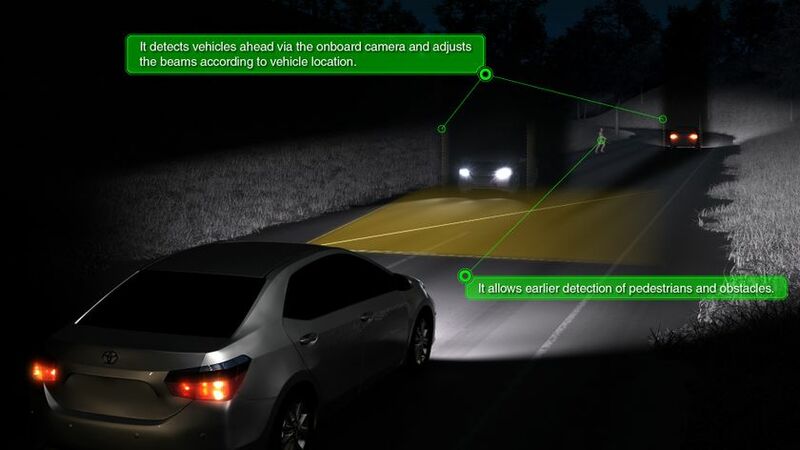 TORONTO, ON., (November 27, 2014) ― Starting next year, some of Toyota Motor Corporation's new models will feature a newly-developed adaptive high beam technology that enables more precise control of light distribution through independent LED control. The new LED Array Adaptive High Beam System (LED Array AHS) uses multiple independently controlled LEDs arranged in a single row, giving a wider range of illumination than earlier systems1 without dazzling the drivers of preceding and oncoming vehicles. For example, LED Array AHS can illuminate the gaps between preceding vehicles and oncoming vehicles, making it easier to detect pedestrians crossing the road. It also adapts the distribution of light to a wide range of driving circumstances: in an urban setting, for example, a wide area will be illuminated, whereas long-distance illumination is used during high-speed driving. The system also adjusts the distribution of light based on the operation of the steering wheel, improving visibility ahead of curves. LED Array AHS combines these functions to provide reliable illumination during nighttime driving. Last year, 4,373 fatalities were caused by traffic accidents in Japan alone. Although the number of annual traffic fatalities has dropped for 13 consecutive years, pedestrians constituted the largest group of fatalities, and approximately 70 percent2 of pedestrian fatalities occurred at night. Toyota's development of next-generation illumination technologies is part of the company's efforts to help prevent accidents at night. In addition, the all-new Toyota Safety Sense active safety package, to be rolled out from 2015 onward, will feature Automatic High Beams3 (AHB) as standard. 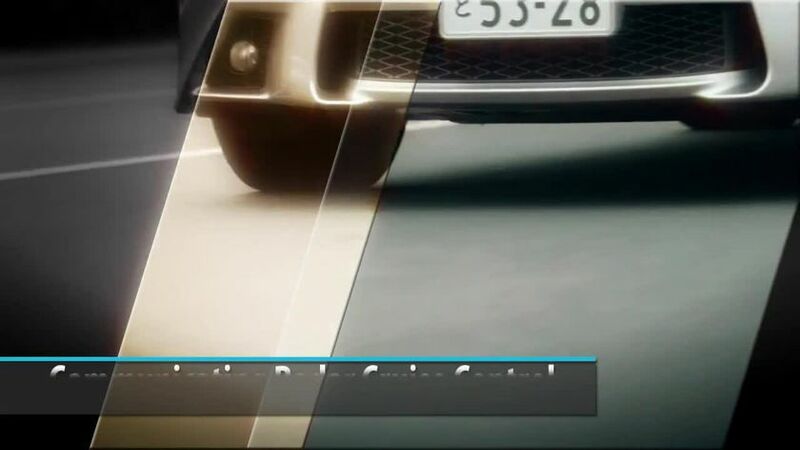 1Uses onboard cameras to detect the headlights and taillights of preceding and oncoming vehicles and control light-blocking shades to adjust the distribution of light by high beams. First used on the Lexus "LS", which went on sale in October 2012. 3Uses an onboard camera to detect the headlights and taillights of preceding and oncoming vehicles and switches automatically between high beams and low beams.